Anthony Weiner shows his “Weiner” again? For the past 19 months, Weiner has placed himself in another sexting scandal in which he referenced the woman he sent them to “literally a fantasy chick,” according to a New York Post report published on Sunday. As you may remember, former congressman Anthony Weiner, spent 12 years in the House of Representatives before resigning in June 2011 after posting inappropriate images of himself via his Twitter account. Around that time, Weiner admitted that he “exchanged messages and photos of an explicit nature with about six women” over the past three years. 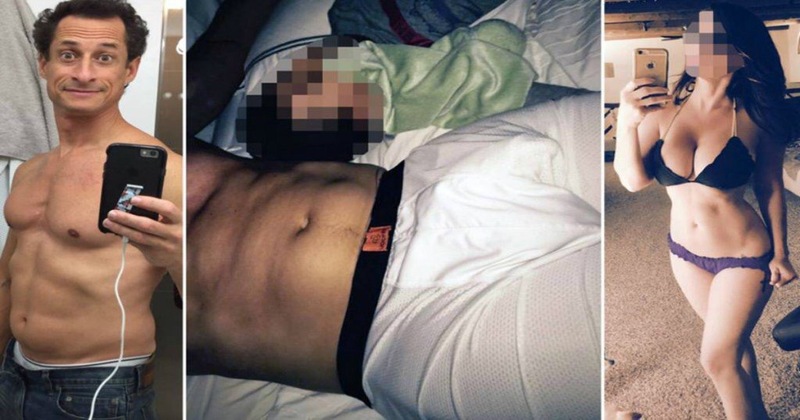 One of the photos Weiner sent the woman displayed his underwear-clad crotch with his son Jordan sleeping next to him in bed, according to The Post. The New York Post stated Sunday that Weiner was concerned about the possibility of exposing his son to the public, an error in 2011 that he feels he may have repeated. Weiner, 51, admits to never meeting the woman in person despite giving invitations to meet him in New York. When contacted by Post, Weiner admitted he and the woman “have been friends for some time,” but added that their conversations were “private … and were always appropriate.” Hmm…. It seems that no buns will be added to his Weiner this time around. Previous PostLRT 2nd annual music video awards Next PostChris Brown arrested for Assualt with a deadly weapon.